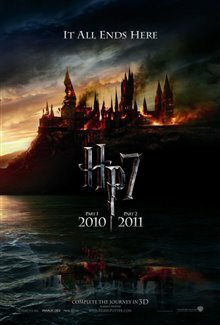 When Voldemort's Death Eaters seize control of the Ministry of Magic, the wizarding world becomes a very dangerous place for those who have not aligned themselves with the Dark Lord. 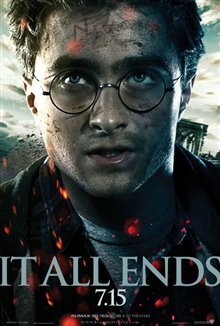 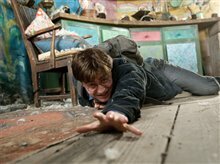 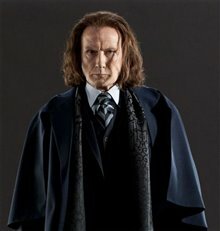 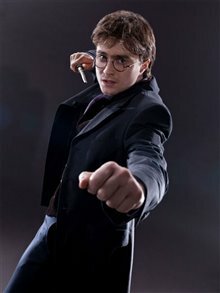 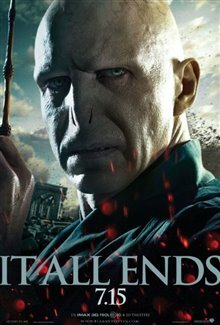 Voldemort is using every effort to hunt Harry (Daniel Radcliffe) down, knowing that despite his young age, The Chosen One is the only wizard who can defeat him. 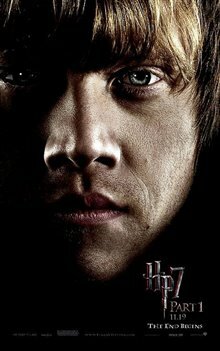 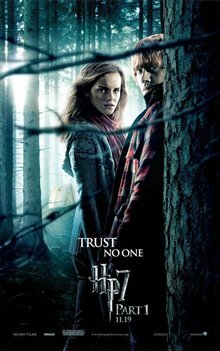 Along with Ron (Rupert Grint) and Hermione (Emma Watson), Harry sets out to find and destroy the Horcruxes that contain the pieces of Voldemort's soul in order to end Voldemort's deadly reign. 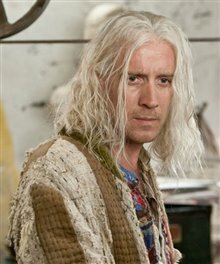 As Harry, Ron and Hermione search for clues, they find Xenophilius Lovegood, the father of their friend Luna. 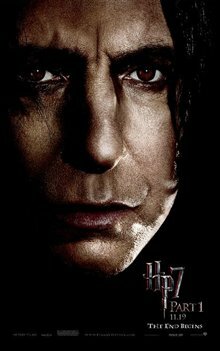 He behaves strangely, but tells them the legend of the Deathly Hallows. 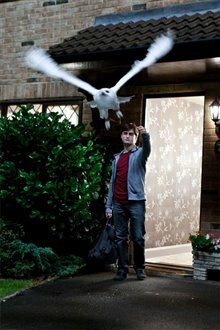 The Hallows are three sacred objects: the Resurrection Stone that has the power to bring the dead back, the all-powerful Elder Wand and an Invisibility Cloak. 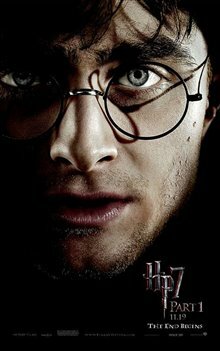 As the three struggle to find out the significance of the Deathly Hallows, Harry learns that Voldemort is trying to find the Elder Wand. 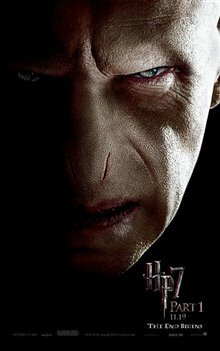 When they're captured by Voldemort's followers, Hermione uses a spell to disfigure Harry, hoping that he won't be recognized. 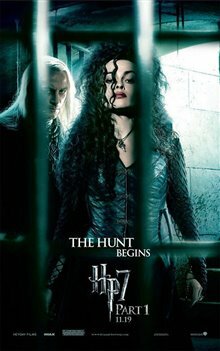 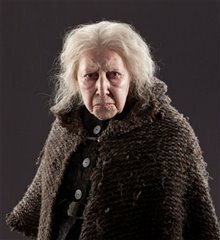 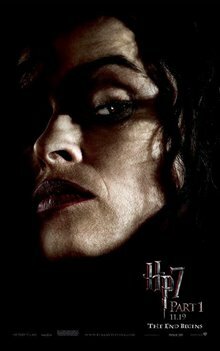 But when they're taken to Bellatrix Lestrange's home, where they discover Luna has been imprisoned, Harry's old enemy, Draco Malfoy, is given the task of identifying him. 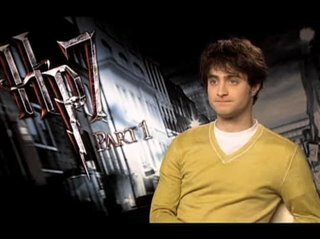 Will Draco recognize Harry and give him away so that Voldemort can kill him? 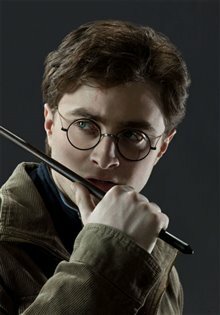 "From my time reading the books as a young child, to growing up with characters. 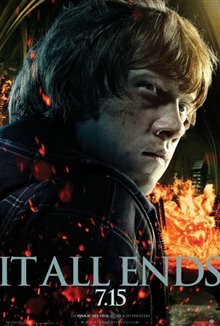 This film among all the others truly captured the energy and vigor that I imagined while reading each page. 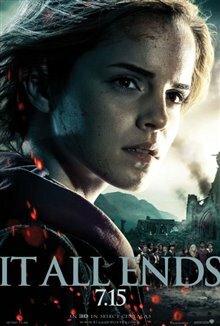 The story, soundtrack and ultimately the near-ending kept you asking for more. 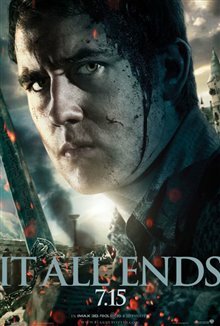 I almost-fitting end to an amazing story." 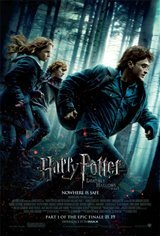 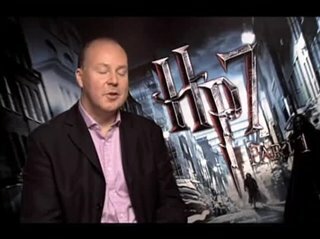 "This is a great start to the deathlyHallows movies - although it is a bit draggy in some places - the slower pace of this movie feels like it is building up towards something amazing. 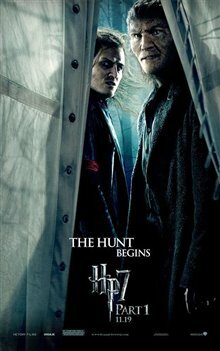 although this is sppused to be a childrens/young adults series the movies have been getting darker and darker as the series progresses and this is by far one of the darkest ones yet - the young actors in the lead roles have really grown into thier parts quite well and it is a pleasure to see them growing up as much as they have"